Why do you need to de-register from iMessage? Well, there are plenty of scenarios when you might have to take this step. For instance, if you have switched from iOS to Android, you will want iMessage disabled. This ensures that your SMS service works fine on the new device without any hassles. In case you have lost your iOS device (or if it has been stolen), you will want to disable iMessage quickly. De-registration is pretty simple and we have provided the necessary steps for it in this article. Keep reading! If you still have your iOS device with you, deregistering iMessage is a breeze. Just make sure that you have your mobile network SIM inserted in your device. This method will not work if the SIM is not inserted and you will experience message related issues later. In simple words, you have to make sure you are connected to the mobile/cellular data network. This is one of the official methods to turn the iMessage service OFF. It works for most part. But, sometimes, when you are making a switch from iOS to Android, you may encounter some issues with normal messaging (SMS). This usually happens when someone from another iPhone is trying to send you a message and that message is still being sent as iMessage. This means that iMessage hasn’t completely been disabled on your number. For the longest time, the users had to live with the issue without any solution. They’d hope it to get resolved on its own. But, that’s not the case any longer. Apple has had this solution for a while. Once you deregister on the device (or even if you don’t), you also need to disable the services online. This is what we discuss in the next method. If your iPhone gets damaged or you don’t have access to it any longer, you can still deregister your phone number from iMessage. You can do that from the Self Solve section of Apple’s website (link provided later). As already mentioned, even if you have disabled iMessage from the device, we would recommend you to follow this procedure to avoid any issues pertaining to SMS. The 6-digit confirmation code is sent to the phone number when you click ‘Send Code’ in Step 5 above. 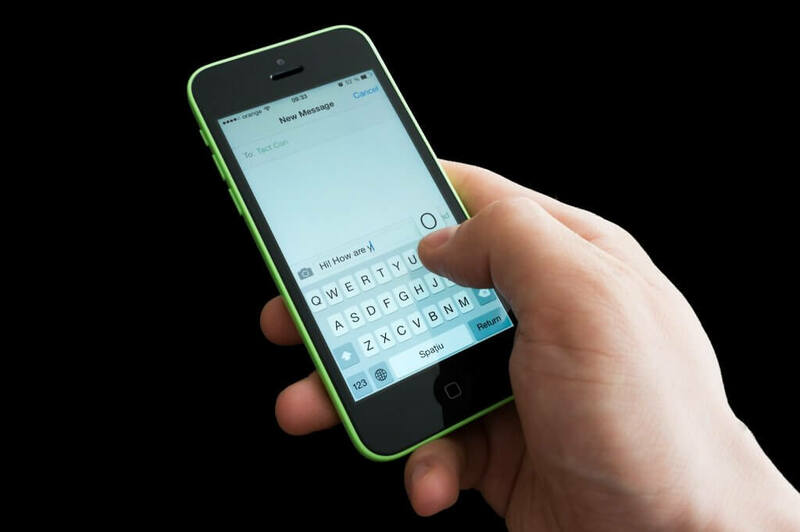 You need to code to deregister iMessage on the number when you no longer have the iPhone. But, what if you did not receive the code? There is a ‘Resend Code’ link next to the ‘Enter confirmation code’ field. If it’s been a few minutes and you haven’t received the code yet, click this link. Apple will try to send the code to your number one more time. If you still don’t get the code, we would recommend you to repeat the steps 1 to 8 one more time. In most cases this fixes the issue. If you still haven’t received the code, make sure your device is connected to the cellular network. You will be able to determine that by looking at the network bars on the top of the display. If there is no network, take the SIM out from the device and insert it again. If you have the cellular network and are receiving the text messages from others, we would recommend you to reboot your device. This may fix the issue. If the problem persists, there is either the problem with the mobile network on Apple’s website from where you are trying to generate the code. In this case you may need to call your mobile network customer support or Apple customer support. Sometimes text messaging servers experience downtime due to which you may not receive the code. Wait for a while before trying to get the code again. If you want to explore it and want to know in details, then click here. If you are switching from iOS to Android platform, you will want to disable iMessage to make sure there are no issues with messaging in the future. While most other services work fine without you having to bother about making any changes, iMessage may interfere with SMS service. Also, after making the switch you will want to make sure that the messages from other iPhone users are delivered to you as normal text message. You can disable iMessage from your iPhone if you still have it. If you do not have access to iPhone, you can use Apple’s website to de-register.